However, there are times when instead of talking to God, we hear Him speak to us. Sometimes it’s a whisper and other times it comes through loud and clear. Dont get me wrong, it’s not like suddenly the clouds part and Morgan Freeman’s voice starts echoing in your mind. 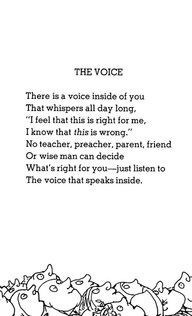 It’s that voice inside you that sounds a lot like your own and tells you right from wrong. A few weeks ago, toward the beginning of this challenge, I blogged about my Good Friday nail salon experience. What I didn’t write about was what happened after I got out of the pedicure chair. I’ll start from the beginning. If you read “F is for Friday, Finally” then you know I almost left the nail salon when I found out about the wait. But during my 30 minute wait, I was approached by a very beautiful older lady. She was very well put together and her makeup was flawless. She was someone you would assume had it all together by looking at her; not a problem in the world. She sat next to me as I toyed with my iPhone. She told me she accidentally left her phone at home and asked if she could use mine to call her daughter. I, of course, said yes. She didn’t reach anyone so she asked to make a second call to her husband so he wouldn’t be concerned if he couldn’t reach her on her cell. Again, I gave her my phone to use. After her call to her husband, she asked for my advice on nail color. We talked about the party she was going to and what she was going to wear. When we were done picking her color, it was my turn to hop in the massage chair and we parted ways. When my toes were drying, she approached me again and requested one more phone call. She dialed her husband, this time her face looked a little concerned as she got off the phone. So I asked her his name so I could pray for him and she told me his name. To which I said, “I will be praying for y’all.” She thanked me and walked away to her manicure station. In my arrogance, I found myself negotiating with God, giving myself a way out of it, as if there’s any bossing the Maker of the Universe. Me: “Ok, If she’s still here when I’m done. Then I’ll pray with her,” (she was still there). Then it was, ” Ok, if we make eye contact when I’m leaving. Then I’ll pray with her,” (we didn’t). Whew, I thought I was off the hook. But then there was a line at the register, so I waited. Then the credit card machine froze up, and I waited. She smiled and welcomed the idea. So, I prayed with her. I don’t remember exactly the words I used; they didn’t seem like mine. I thanked her for allowing me to pray with her, she thanked me in return and we said goodbye. I went back and forth over whether or not I should publish this post. If there’s anything I want you to get from reading this, it isn’t that I prayed with a stranger in public. Because it isn’t about me. I hope reading this reminds you that even people who seem like they have it all together still need prayers. I hope this post encourages you to pray with/for a stranger who needs it and, most of all, I hope it encourages you to listen to God’s voice. It’s always there, we just have to listen. This entry was posted in Blessings, Blog Hops and tagged A to Z Challenge, hearing God's voice by The Working Momaholic. Bookmark the permalink. Wow! Adrien, I’ve had the exact same experience, only not in a nail salon. I finally caved into praying out loud too. I can totally relate. I’m not a pray out loud person either but sometimes God asks us to step out of our comfort zones. Loved this post and it did tell me a lot about you. Thanks for sharing. Bless your heart! That is so not my thing either! But it can be such a blessing! Another thing God has told me to do, and it’s almost as uncomfortable, is to pray right here in the comment box! Every time I have obeyed that prompting it has turned out to be a blessing to me … and to the person in need of prayer! I have so been there girl. Glad I am not the only one. One time I will regret always was a time when we were eating at Pappadeaux and Eli wanted Ryan and I to ask our waiter if he knew Jesus. We were so convicted but left the restaurant without telling him. I have always been ashamed that I was not a better example to my son and that I was not obedient to what God may have been asking me to do. Ugh. It is so hard sometimes. I have so been there girl! One time I can remember being at Pappadeux with Ryan and the kids. Eli wanted Ryan and I to ask our waiter if he knew about Jesus. We left the restaurant never asking the guy and to this day I regret it. I am so ashamed of myself that I was such a bad example for my son and that I was not obedient to something God may have been calling me to do. Ugh. It is so hard sometimes.